It is Charlie’s Heart Foundation’s goal to team up with other non-profits to support and enhance the work that is aligned with our mission. We have started this journey with two very worthy organizations: Addis Jemari and A Glimmer of Hope. 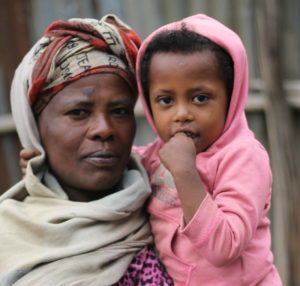 Both organizations are focused on breaking the cycle of extreme poverty in Ethiopia. We are excited and honored to support and be a part of the amazing work that they are doing. Charlie’s Heart Foundation has partnered with Addis Jemari (AJ), a Raleigh, NC based non-profit operating in Ethiopia to support their Family Empowerment Program, which enhances the lives of children and families in Ethiopia through sustainable living, financial and health education — to ensure they are prepared for their lives ahead. It is our goal to support AJ’s mission to fight to end the orphan crisis in Ethiopia. Through this program, AJ plans to encourage, educate and empower at-risk families so they may become self-sufficient, thus ending the cycle of generational poverty. We are happy to announce our newest partnership with A Glimmer of Hope, a Texas based non-profit focused on eliminating extreme poverty in Ethiopia. Our goal is to fund a project a year with Glimmer. Our first project will be to build a well that we have fondly titled ‘Charlie’s Watering Hole’ from Charlie’s initials, Charles Woody Holt. Future projects could include funding schools, health clinics and irrigation systems. 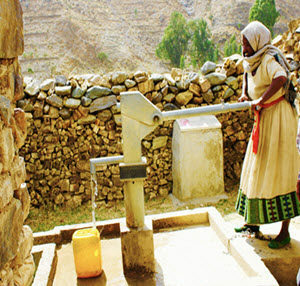 All designed to help meet the basic needs of the people of Ethiopia and help them to break the cycle of poverty. Questions? Interested in partnering with us?